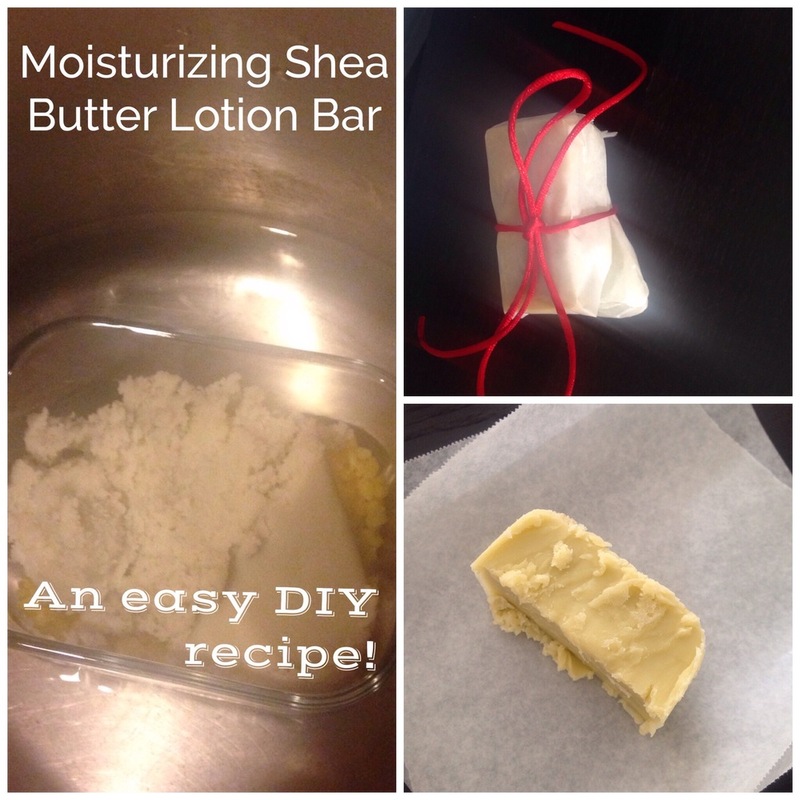 Shea Butter Lotion Bars Recipe I've been hand making shea based body butters for years. I've got a go to whipped recipe, a basic body butter recipe and a thick intensely moisturizing salve recipe. These butters are the basis of my product line and I use them every day. While I am deeply in love with my concoctions, which I house protectively in glass bottles (plastic can leach chemicals into my products), my husband, a touring musician who is constantly on the go, grew tired of lugging dainty breakable glass bottles around. He wanted something that wouldn't break if manhandled by a customs official, that would also be comparable in purity and quality. This is how my lotion bars were born. With only three ingredients, shea butter lotion bars are simple to make and even simpler to carry around (they wrap easily in waxed or parchment paper tied with string or sealed with a piece of tape). With the ease of a bar of soap, shea butter lotion bars glide over your skin, leaving you silky, smooth and moisturized. These may become a new favorite of mine. They're too luxurious and simple not to love. Melt the shea butter and beeswax together in a double boiler or in a glass jar placed inside a pot filled 1/4 of the way with boiling water. Once a liquid is formed, remove from heat and add the olive oil. Whisk together until blended throughout. Pour into a soap mold. If you don't have a soap mold, a small glass container will work as will an ice cube tray (mini bars). Cool in the refrigerator to set for 30 minutes before use. For best results, use right after your shower. Feel free to add your favorite essential oils for added aromatherapy benefits. Store in a cool dry space.